Short, fun, super simple, yet effective exercise program to develop long lean muscles without the bulk. Avoiding all those hurtful, hateful exercises like burpees! 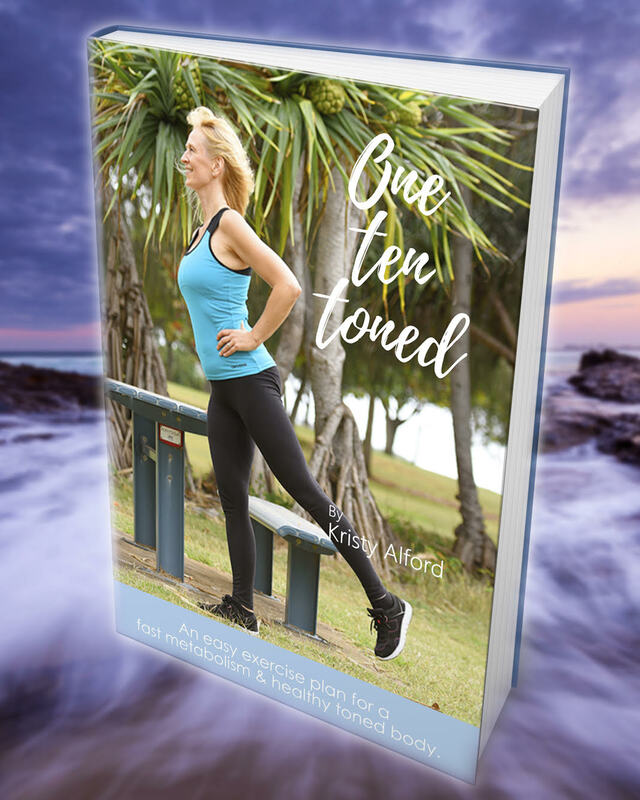 If you’ve ever said to yourself “I really should do some exercise” but that was 10 years ago, then One Ten Toned is the program for you. It’s short, fun, super simple, yet effective to develop long lean muscles without the bulk. It avoids all those hurtful, hateful exercises like burpees, jump squats, sit ups, straight leg lifts, planks, and running, which can be really damaging to the knees, back and neck. But then one day, remembering a theory she wrote in her first book called ‘Ooh ahh just a little bit,’ she set her iPhone timer for 10 minutes and thought to herself ,“what if I just do this?” And then she added music to make it more fun, and started to look up different exercises and before she knew it, a week had past and she had done it every day! She felt her body getting stronger immediately and even woke up looking forward to trying another exercise. Wow! That had never happened before. So three months on and still going strong, she wanted to share her method and created One Ten Toned. The eBook tells you exactly what you need and what to do, with pictures of each exercise targeting different muscles. You can do it at home, on holiday, while travelling, when you take your children to the park, anytime, anywhere. There’s a private Facebook support group, where you can jump on and ask questions and encourage each other. It’s so easy, fun and simple, you’ll wonder why you didn’t start sooner! Available as immediate download after purchase.